HOW SHOULD I FINANCE MY NEW BUSINESS? So you struck out on your own and started a firm. Business is promising and your new website is a hit – and you thought the hard part was over until it became clear that more capital was in demand. 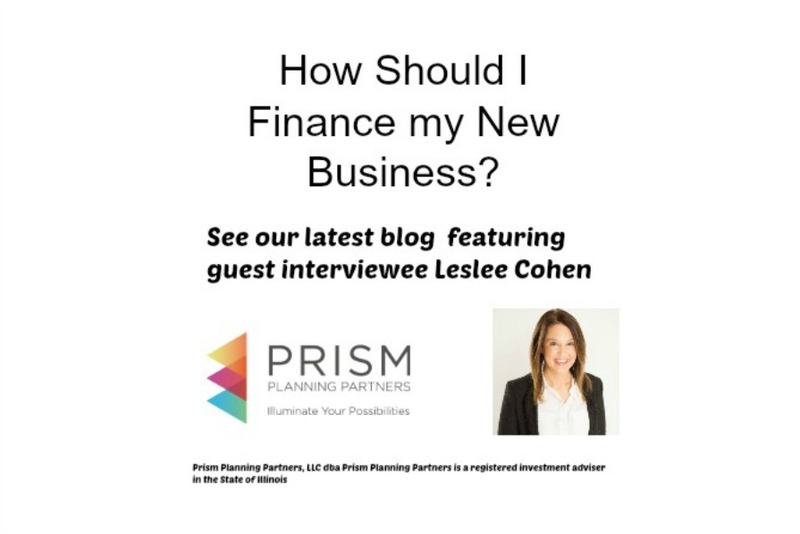 We interviewed Leslee Cohen, business lawyer at Hershman Cohen LLC, to find out the three most common questions that entrepreneurs ask about how to finance a new business. Are you going to issue equity or debt to your investors? One troubling question that many entrepreneurs face is the question of what type of financing to choose. Are you going to issue a simple promissory note where you’ll pay back the money that is invested plus interest, or are you interested in offering some type of shares in the business? On one hand, equity is preferable to investors who are looking to invest in your business for the long term. It incentivizes them to be partners with you and help with strategic advice because the more valuable the company becomes, the more the investors benefit as well. On the other hand, debt is much safer from the investor’s perspective because debt always gets repaid before distributions are made to equity holders. However, the upside is much more limited because it is fixed at a set interest rate. Most business owners don’t like to give up equity in their businesses if they don’t have to. They like to maintain as much of the upside as they can for themselves. There are some hybrid interests that are very common for new businesses that are looking to raise money from early stage investors. For example, a convertible note or something called a SAFE which is a Simple Agreement for Future Equity. Basically, both of these are instruments in which the investment is converted into equity in the business if the company sells or raises more money in the future. What type of disclosures do you need to give your investors? Many times, business owners believe that just because they are selling simple promissory notes rather than stock to investors that they are not selling a security – but that’s not true. Basically, under the Federal and State securities laws, if someone gives you money as a passive investor in your business with the hopes that you are going to use it to grow the company and pay them back more money, you are selling a security. In order to comply with the law, the general rule for disclosure is that you are required to tell an investor anything that a reasonable person would want to know about your company before making the decision to invest. If you fail to do that, you are potentially committing a fraud. Let’s say, for example, you are raising money for your business and there is a major competitor in the market. You think your product is better, so you tell your investors all about your prospects for growth but neglect to mention this large and looming competitive threat on the horizon. This is an example of a breach of the securities laws because you would have failed to give your investors what is referred to as “material information” concerning the investment opportunity–knowledge that a reasonable person would want to know before investing in your business. So even if you’re just saying something as simple as, “Just lend me this money and I’ll pay you back with interest,” to multiple investors, you’re selling a security and you need to provide the required disclosure. What is it likely investors will be looking for in evaluating whether to invest in your company? The closer you are to revenue positive (or if you’ve crossed that threshold), the better your valuation is going to be. This generally means better financing terms from your investors. Owner commitment. People don’t like investing in an idea. They want to see that you’ve put your time and money into the business, and you’ve taken it as far as you can take it before seeking outside capital. Investors like to see that the shares held by the owners vest over time, which is referred to as “restricted stock”. That way, if the business owner leaves the company they forfeit whatever stock has not yet “vested” at that time. This give your investors the assurance that if you don’t remain committed to the business, you lose equity in the company. In many ways, having a business is like having a child; there’s as much planning that goes into raising it right at every stage of its life. Information is your ally; have a team of attorneys and financial advisors who understand your needs and how they will change and evolve. Contact us for more information about where to get started if you are entertaining thoughts about how to finance a new business. Leslee has been a principal at Hershman Cohen LLC since 2010. The firm specializes in helping its clients who are raising private funds or compensating service providers with equity in order to grow their businesses, start new enterprises or purchase real estate. Ms. Cohen is a specialist with respect to venture capital and private equity transactions as well as friends and family offerings. Prior to founding Hershman Cohen, Leslee practiced at a Wall Street corporate and securities law boutique, representing primarily publicly traded companies, then led the securities department at a mid-sized law firm in Chicago for 13 years. Leslee graduated from the University of Michigan in 1989 and from New York University School of Law in 1992. This content is provided by a third party and may not necessarily reflect the expertise of Prism Planning Partners. This publication is not intended to provide investment advice and is intended for your information only. Prism Planning Partners does not provide tax or legal advice. Prism Planning Partners is unrelated to Leslee M. Cohen or Hershman Cohen LLC.